This is the shocking list of injuries and assaults suffered by Mitie security staff at Southampton General Hospital: injured and broken ribs, broken noses, a dislocated knee, a broken finger, black eyes, a needle stick to the hand, being strangled and spat at and threats to kill. All for £8.64 an hour. Regular attacks on security staff at the hospital, employed by outsourcing firm Mitie, are key to a escalating industrial dispute over wages and sick pay – as well as further evidence of the role of austerity in a nationwide trend of increasing violence towards NHS staff. 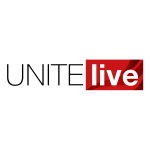 Unite said that Mitie Security is refusing to provide its Southampton staff with adequate personal protection equipment (PPE), such as stab vests and safety restraints, even though knife-related incidents are increasing. Unite lead officer for health in the south east Scott Kemp said, “With cuts to the police force and mental health services, there is a tendency for those suffering from various conditions to be dropped off at the hospital and left to the security guards. The union is currently holding a ballot for strike action or industrial action short of a strike of its members, employed by Mitie Security Ltd, at Southampton General Hospital over pay and conditions that closes on Friday 15 March. The security staff are seeking £10.50 for security officers and £12.16 for supervisors, with additional payments of 50p per hour on night rates; £1 an hour on Saturday and double time on Sunday. Unite said the demand for an increase in pay from the current £8.64 an hour reflected the stress of the job and that Mitie has a “good window of opportunity” to enter into negotiations before the ballot closes. Kemp explained that sick pay policy also needs to be overhauled. He said, “At present, if the security staff are injured at work, and if the resulting investigation finds in their favour, they get two weeks’ full pay and then two weeks’ half-pay. After that, it is the statutory minimum. In the 12 months to October 2018, more than 15 per cent of health service staff nationwide were attacked by patients, their families or members of the public – the highest the rate of assaults has been for five years. The increase in violence towards NHS staff has occurred at the same time as police numbers have fallen dramatically because of Tory-imposed austerity – particularly cuts made during Theresa May’s time as home secretary. In the Southampton area alone, more than 500 front line police officers have been cut since 2012. Public services are increasingly reliant on low-pay outsourcing firms such as Mitie, who often run operations on a shoestring, to provide security. Unite national officer for health Jackie Williams said, “Unfortunately what it is happening at Southampton General Hospital to Mitie Security staff is being replayed across the NHS. “For someone to attack those whose sole purpose is to help others – whether by keeping them safe, ensuring the premises are clean and running properly or providing treatment – is disgusting and should be met with zero tolerance. “While of course the ultimate responsibility lies with the individuals carrying out these crimes, the relationship between the increase in attacks on health service staff and austerity cannot be ignored.